If you're going to use a 1050 ti, use the Zotac OC Edition. it's $159.99 and it has the highest core and boos clock out of all the 1050ti s, so it's really good at price to performance, for 20 $ more. Yeah. No matter how many places I look on the web, I can't find any non-5 star reviews for it. Plus, lots of the 1050 TIs that are slower are 10 bucks more... It will easily fit into a $600 budget like mine. You literally just repeated yourself, adding an extra sentence, how does that help you prove your point..? I'm looking to build a PC to play World of Warcraft & Final Fantasy XIV, but have a budget of $650. I'm wondering if this setup could run it as is or if there are certain parts I'd need to swap for something pricier in order to get it running? If you want a better GPU and want to overclock the CPU, get this ($642): https://pcpartpicker.com/list/LfzwxY SSD not included in this build. If you don't want to overclock, then I suggest spending a getting a Ryzen 1400(+$40) or 1600(+$80) instead. The Ryzen 1200 is more likely to be a bottleneck without overclocking. A "true" entry level build that can handle almost everything you throw at it! Check it out! Where did you find the motherboard at that price? Patriot - Viper Elite 8GB (2 x 4GB) DDR4-3000 Memory $59.99 Buy Storage"
If you look closely, the motherboard is 174.48, not 34.99. The way it was pasted made to formatting wrong. Nah. The copy paste was pretty bad. The Core i5 was $174.48 and the H110M mobo was $34.99 since those are the prices they normally hover around. If you really have a tight budget, then this is a great build. It can run most games at 60fps with decent settings and at 1080p. 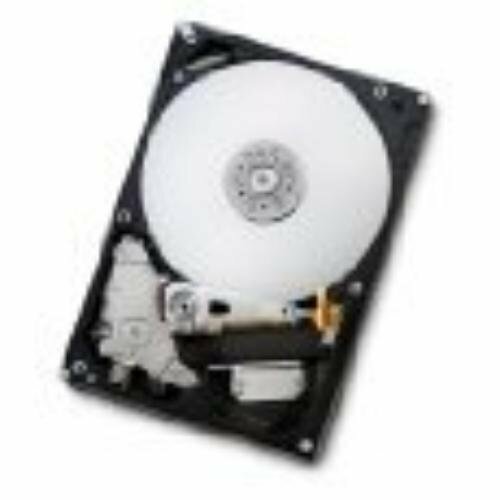 Are HDDs that expensive in the UK? Nah, you can get a normal 1TB unit for around 40 pounds. Hi, guys I was wondering about switching out the parts in this build guide with various other parts. I'm keeping most of the stuff the same except for the Storage and CPU, I will be switching to an Intel - Core i5-7600K 3.8GHz Quad-Core Processor, instead of the Pentium listed here. Will I run into any problems when switching? I was also wondering if the case itself has a built-in cooler, or if I have to buy a new cooler, I was planning on getting a Cooler Master - Hyper 212 EVO 82.9 CFM Sleeve Bearing CPU Cooler. The Core i5 7600K doesn't come with a cooler as the Pentiums do. If you are buying the i5 7600K, do you have the intention of over-clocking? In such a case, the mobo will need to be switched from B250 to Z270 to allow overclocking. You'll also need to purchase thermal paste to apply between the Cooler Master and the CPU. The case mentioned comes with 2 installed fans; they're not direct cooling solutions for the CPU. You didn't provide a list but is this bulid ( https://pcpartpicker.com/list/GVxpf8 ) what you had in mind? Thanks for your reply, I am going to buy a cooler, the same as the one mentioned in your pc part picker list. In fact, many of things on your list are the same as mine except for a few variations. Speaking of the i5, I do not have the intention of overclocking, and I do have thermal paste. I was also wondering, based on your experience do the prices drop considerably on Black Friday or should I order now instead? Thanks so much! I heard Microcenter and Best Buy have some price drops around that time but since I'm stuck with Amazon I'm not too sure. Is this okay or do you think I should change stuff up, like add a SSD, or any other part. I'm planning to run games like Fortnite, Overwatch,, Rainbow Six, Forza Horizon, and so on. Hi, I would like to start my first build, what performance I could hope to have on recent games with this build ? Thanks. Would this system be able to play Overwatch at 1080 with medium quality settings at roughly 60 fps while also recording the content for uploading to YouTube? I’m pretty sure it would be plenty fast enough to play the game at 60 fps but I’m not too sure about the recording. Currently using OBS which is obviously fairly CPU intensive but I’m wondering if the Shadownplay feature on the 1050 ti would work better. Building for my nephew and don’t game personally. It can play Overwatch at 1080p ultra settings and get well over 60fps. There is a video online by the YouTube user BitWit which shows how to build a gaming PC very in depth! Thoughts on a RX 550 2GB video card instead? That would give significantly less performance, but it's also much cheaper. I don't recommend the RX 550 unless you're fine with 30fps (or higher if you play at >1080p low/medium settings), or if you only play games like Overwatch and Rocket League. Would it be able to do Rainbow Six Siege, if so at what FPS and Settings? It can run Rainbow Six Siege at 1080p medium settings at around 60fps. It's not a very demanding game, so the Rx 550 can handle it. Okay so if I only play games like Overwatch, Rainbow Six, and Destiny 2 then I'll probably be fine. Thanks for the help. Destiny 2 is playable, but it's more demanding than Overwatch and Rainbow Six, so you'll probably have to use low/medium settings or lower the resolution to get 50-60fps. If that's okay, then the Rx 550 is a good choice. Im still going to need to purchase an operating system right? Please actually read what I posted. It is not a legal usage of the operating system. Could you cram a GTX 1080 in this setup? Yes but that'd be like putting a Lambo engine in a Honda Fit. If your GPU is high end, your other parts should be as well to get the most use out of it. There would be no reason to??? I am interested in buying a gaming PC if i am new to this would this be a good build for me? If so can anyone give me some options to buy what accessory's( monitor, keyboard, mouse, etc.) that will work good for a new PC gamer. I had the same specs in my old system and i was very happy with it. For a monitor i would recommend you a 1080p / 60Hz monitor with good reviews. and keyboard and mouse just something that fits you and that has good reviews. My mouse is the logitech g300, costs like 30-40 bucks and is great. Are these prices in American dollars? as novice and budget restrained person. just few questions. pc will be mainly use for daily use. well if you want to use this CPU i suggest you to get an i5. even the kabylake i5s are going to be good CPUs for a couple of years and yeah the intel CPUs have internal GPUs. But they are not very good for gaming so you can't really play games with it. They are fine for everday use though. Any suggestions for where I can buy the Patriot - Viper Elite 8GB (2 x 4GB) DDR4-3000 Memory? I had an order in on Amazon in July or August; it was backordered. Received a notice last month asking if I still wanted it, that it continued to be on backorder. I keep checking Amazon - no luck. And I can't seem to find it anywhere else. Everything else on the parametric filter is 1/3 more expensive at slower speeds. The next 3000mhz is almost double in price. Well.. you can't run 3000 mhz on b250 anyway.. i think.. and it doesnt make a huge difference with this build anyway. Would this be able to run Dayz with decent fps on default settings? This build surpasses the minimum requirements for Dayz so you should be fine. Ok good because I got tired of playing Dayz on a laptop with only getting a max of 25 fps and I had to completely downgrade the graphics so hopefully I wont have to on this build around what fps do you think this build would get for Dayz? To answer your question, using this build you would probably get over 53 frames per second, on pretty great graphics. This video may help you, too bad he recorded during the night though. Have fun! I am building for destiny 2. I would like to get a minimum of 60 frames hopefully closer to 100 at 1080p. I am going to get a 144hz monitor. Is the the setup for me and if not what recommendations would you guys make ? If you want a 1080p 144hz monitor then you probably should get a better graphics card. This card is fine for 1080p, but it will not deliver close to 100fps on any demanding game, like Battlefield 1 or Assassin's Creed Origins. It does deliver that framerate on games like Overwatch or CS:GO, but if you want to make good use of your monitor, I suggest getting a 1070 or Vega 56. Could this run WoW on ultra settings in a raid with 60+ fps? How about games like pantheon: rise of the fallen and Destiny 2? (Coming from someone with no experience in PC building). Hey im gonna buy this build. The black friday is soon would prices be stable or change at the black friday . And is the system has wi-fi ready? You need to add a wireless network adapter to the build in order to have wifi. Why use 2 x 4gb ram instead of a 1 x 8gb ram with the ability to upgrade later? Dual channel improves performance, and upgrading shouldn't be a problem because the motherboard has 4 ram slots. Should i need cpu cooler? Would a Zotac - GeForce GTX 1050 Ti 4GB OC Edition Video Card work on this build in place of the one on the guide? 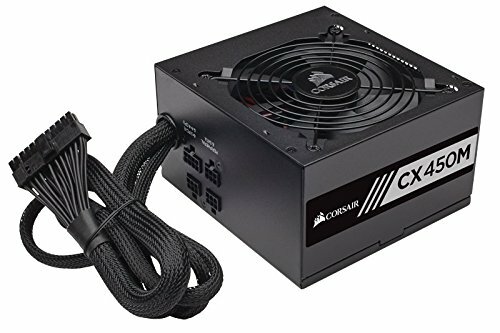 Can I put a EVGA 430 W 80 PLus power supply in it ? From what I am reading this can run csgo, over watch, and r6 siege fairly well? I'm new to this but I have done a lot of research and I decided to customize this build, and came out with a end result of this, https://pcpartpicker.com/list/2TBJYr Is this okay or do you think I should change stuff up, like add a SSD, or any other part. I'm planning to run games like Fortnite, Overwatch,, Rainbow Six, Forza Horizon, and so on. Not so demanding games, but I just need something to run them. CPU: I went with the AMD ryzen 3 1300X. It has 4 cores instead of 2 and is factory overclocked. And as stated the kabylake i3 is already a generation old has no real upgrade path. The AM4 plattform has a nice upgrade path. You can upgrade to a 6 or even 8 core CPU later without changing the motherboard. The stock cooler that comes included is good enough for the CPU. Motherboard: The ryzen CPUs need the AM4 socket so I went with the B350 Pro-VDH by MSI. i have the Intel version of this motherboard and i am very happy with it! Memory: I went with a 3000 Mhz memory kit as Ryzen really does better with faster memory. Its 2 x 4GB so you can still upgrade later on to 16GB. Storage: As you can see i dumped the Seagate HDD as i don't really trust it. I went with an SSD and a Western Digital HDD. It really makes sense to get a SSD as it will decrease the boot time a lot! I put in a 240GB version so you can install 2 or 3 games on it too. The 1TB Harddrive by WD is a very popular one. its 7200 rpm and very reliable! Video card: I left the 1050 Ti as it is a very nice little GPU and will run the games you listed perfectly. I had it in my old system (one from EVGA though) and i was super happy with it. Now I have a 1080 Ti. Case: I left that one. PSU: you didnt have a power-supply in the part list so I added one. its 520W and Bronze rated AND fully modular. Wow just wow. Thanks for all the help you have given me, I finished the build for $550 and it runs like a charm! It works amazing and the process was buttery smooth! Thank you so much again. You have been a crucial part of my PC build. I have named it Triniking Lobster! Hey Lobster, what's a build log? Is it like a build guide? Wow this was amazing! Thank you so much for helping me like this. I was wondering does this need a cooler, I was thinking of going with the Hypermaster, I put it in this build and it told me that you may need an additional way to hook it up. Do you recommend any coolers? Sorry for my last reply! It's great that you took the time and effort to help me out, I really appreciate it. I see that the CPU does come with a stock cooler and it will fit my needs! Do you have a build video for this? is it worth getting an i5 over the pentium? Well the Core i5 is 4c4t compared to the Pentium's 2c4t so it performs better. Do I really need DDR4 for the ram ? Yes, the mobos that handle Kaby Lake CPUs require DDR4 RAM. Don't even think about putting DDR3 into them. Will this build require external storage? Is that an essential component or am I asking a dumb question (first time building)? Thanks! Hey, what kind of graphics and FPS can I expect for total war games including warhammer 2? Thanks! Is this computer up to date in 2017. How good is this computer build for video editing and is it up to date in 2017.
does anyone have a video of them assembling this build? it would be very much appreciated since this is my first time buying a pc and im not too familiar on how to assemble it. thank you in advance! Is there a way I can have my build criticized by others? Like am I able to share it? Do I just post my build list on the build guides? I dont even know if its a good build so like for title would I put like the CPU and MB (Intel, or the razeon) then like first build comment please? You put your build on the completed build section. You first pick the part list you used and then you can pick any title you want. Make sure to include pictures too. without any pictures the build will not get approved. I have not gotten the computer built yet. How well would this build run Rust and Fast graphics? PUBG? Also, what should I upgrade to get better performance with a $600 budget? Thanks this is really useful I will use those parts for my build, but would I be able to get an extra 8 GB of ram on the motherboard? Get a actual quad core. I've been thinking to build a pc for tasks like playing games such as Overwatch. I am also a YouTube video maker, so I would like a pc that can handle editing programs and Live Streaming on YouTube. Is this the pc I am seeking for, or is there some improvements for my purposes? My budget is about 500 - 600 dollars but it may vary. All the help is really appreciated! Hi there! I would rather look at something like this. I know it is like 40 bucks over budget without the rebate. But I think you should spend those 40 more. The CPU is the Ryzen 5 1600 6 core CPU which is very nice for gaming and streaming. With the b350 chipset of the mobo you can also overclock it. Balancing a system at 500-600 bucks that can game AND stream very nicely is hard. Maybe ask in this forum other people what they think. Would this build be able to run Destiny 2 and/or Fallout 4, even at minimum graphical settings? Do you know which settings? Low or medium? You'll probably get low and medium w/ some lower adjustments with this build. Fallout 4 is a regularly benchmarked game so you can research its performance on YouTube. True. There are times when machines above the specs can't run the game properly and others where the game can run on potatoes. Your funny. minimum specs from steam are a bigger joke than what is going on in the world right now. The FX processors are still good but it's better to get on to the Zen platform with the faster ram and better upgrade options. Any replacements I could use for the memory? Hi, I am new to building PCs and not sure about anything really. Just wondering whether this will be able to run elgato game capture, and whether or not I should just get an i5 instead of a pentium, to make sure that it runs. Also if I do upgrade to an i5, will I need to add anything extra to make the PC work? I'm a bit of a noob when it comes to this stuff. Does this build include a headphone jack, Ethernet adapter and wireless network adapter? Hey can this build Run rainbow six siege ? I wanted to get a pc to play with my friends on that game but I don't know much about pc's. most of the games i play take 16GB but you do have a point but i would spend the extra 60 bucks and you only need a 1TB drive. i dont want to start a war and you need windows 10 pro or windows 7 and you need a cd drive. You'll need to purchase an operating system. I don't own a PC and never have, and I am looking to get into PC gaming. So being my first time buying, I am unsure of what i need, and the requirements to play certain games. The game that I am primarily looking into playing is Fortnite, specifically the Battle Royale game mode. Would this computer be able to handle that? Would this run playerunkown battle grounds in ultra? Haven't built a PC in like 15 years! this website would've been helpful back then for sure! Anyway, looking to build a small, simple, CHEAP PC to run Zwift (cycling software) flawlessly---wanna spend no more than $600. I have win10 already so all good there. Any help is appreciated!!! I just put this build together only I swapped out the hard drive for an SSD. At first, I noticed the video card fan would spin and then stop repeatedly, so I took a recommendation to remove the video card and re install it. Now the fan doesn't spin at all. Any recommendations? Yea, I think I just haven't pushed the card hard enough. It does spin on startup and does a spin/stop/spin/stop action when I play some games. Other than that, this was an excellent build. Thanks! Would this be good enough to run games like rainbow six siege and fortnite at 60+fps? Can this fit a Geforce 1060? Good job I like the case! so if i were to build this do you think it would be good for streaming through obs with an elgato? A) Is this a good starting build for a new gamer like myself? B) Would this be able to run GTA V LSPDFR? I have about a $700 budget. What does America have to do with it? About $150 of the extra cost would be the exchange, and I assume the majority of the rest would be shipping and your government's taxation on consumer electronics. Find a dealer in America that ships to Australia if you're not satisfied with Aussie dealers. Exactly, why do people have to be so dramatic over prices and blame it on another country, if I had it my way the world would all have the same currency and no price changes. If your so pissed off blame the manufactures in Asia. To be honest I'd recommend this if they're planning to upgrade to a unlocked Coffee Cup in the future. Even in that scenario that PSU would need to go. I didn't say it was bad. I thought you needed 600W or more if you're attempting to overclock? It runs a non over clickable CPU and only thing it's basically powering is the gpu so it's perfect and cheap. Hey if I used that CPU with a GTX 1080 would that work okay? How’s this for a starting coffee lake build?